Recently the House of Commons was 'graced' with the presence of the darling of the international press, professional activist Malala Yousafzai. She was speaking to Parliament to thank the government for giving her honourary citizenship. 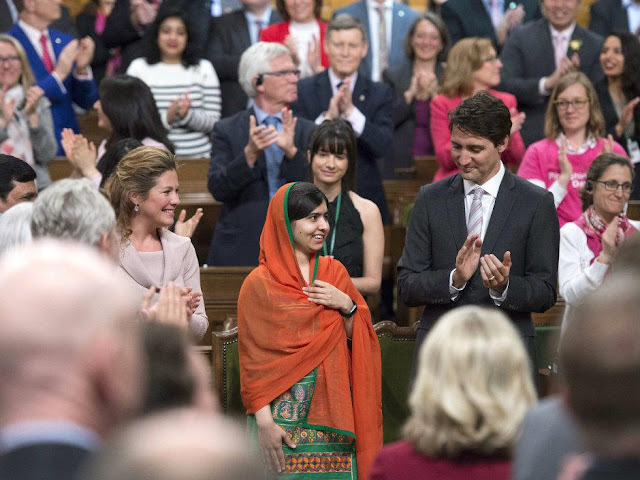 Trudeau gave a glowing introductory speech and throughout the entire affair MPs of the left and right clapped, cheered and laughed along with our dear leader and Miss Yousafzai. Her speech read as if it had been written for her by some deracinated White liberal. It was your typical 'we are all the same' and 'Islam is a religion of peace' style piece of political theatre. We've heard such speeches time and time again so it was hardly anything new or innovative, but it came out of the mouth of a non-White Muslim girl so I'm sure for the superficial liberal and 'conservative' this must have been truly exciting. They must have come away thinking all their preconceived egalitarian, internationalist notions are somehow validated. She claimed that violence is not Islamic and that those who commit violence in the name of Islam are not Muslims, but she is. Well, I'd argue that she is the one who is not Muslim, unlike the terrorists she condemns. Obviously, Islam has a long history of spreading by the sword and to argue that acts of violence are solely the result of socio-economic position is false given many come from middle class and affluent backgrounds. It is also wrong to suggest Muslim attacks are the result of persecution given that Yazidis, Christians and Zoroastrians are all far worse off in Islamic countries and yet they don't blow themselves up in Baghdad or Karachi. Nor do they come to the West to forge terrorist cells. It was amusing to hear her list off examples of terror including the Quebec City attack by a Canadien, in order to try and draw the audience's attention away from Muslim attacks. However, this failed as all the other examples she gave were of attacks committed by her co-religionists. It should also be noted that the near fatal gunshot wound she received when she was still living in Pakistan was delivered by her co-religionists. No, the faith she preaches is that of liberalism. Moreover, she is a token who, like the Western left and so-called right, dream of a deracinated world which the West is clearly to be the first victim of. For the left this is to be achieved for utopian ideals of egalitarianism (and also because foreign groups vote as they are told and also for the chance at getting more gibsmedat) while for the right it is for cheap labour which is achievable once all traditional constraints of family, religion, ethnic and cultural heritage are destroyed. Feminism plays a major role for both sides as it is seemingly egalitarian and acts to destroy the family and natural gender roles. Speaking of feminism, Malala also used her time to promote that ideology. However, for the most part it was yet another opportunity to spread the false gospels of 'Islam is a religion of peace' and of open borders for 'refugees.' Evidently they deserve greater access to education than native-born Canadians. Her claim to fame is as an activist for girls' education, but of course such an issue must be tied with (and perhaps subservient to) a wider goal of globalization. We see again how feminists are useful idiots for liberalism. Malala is portrayed as a great hero but is she really? She only came into the limelight because of the connections of her father, who has ties to a secular, leftist political party in Pakistan (the Awami National Party) and various international aid associations. He used this to get his daughter exposure to Western media and in particular the BBC — which it is claimed she wrote for. She is incredibly privileged to have been brought to the UK for medical treatment and now gets to travel the world getting honorary titles and lavished with praise for being what media and university lobotomized citizenry of Canada and elsewhere in the West want non-Whites to be: harmless tokens who ape their views perfectly. Oh, but I forgot, privilege is something reserved specifically for Whites, no matter how poor their upbringing. It's a political decision and a conspiracy... She is a normal, useless type of a girl. Nothing in her is special at all. She's selling what the West will buy. 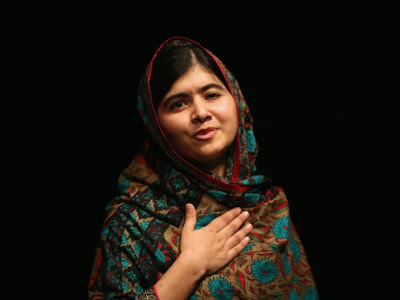 Malala is the good native, she does not criticize the West, she does not talk about the drone strikes, she is the perfect candidate for the white man to relieve his burden and save the native. I would argue that it is not the White man's burden but the liberal White man and others who have essentially bought up the uncritical narrative pushed by the media, activists and politicians. Groups which have all completely uprooted themselves from their Occidental background. It would seem that many ordinary Pakistanis and Muslims more generally are also critical of Malala, but for religious reasons. Again, we see how disconnected she is from those the elite tells us she represents. 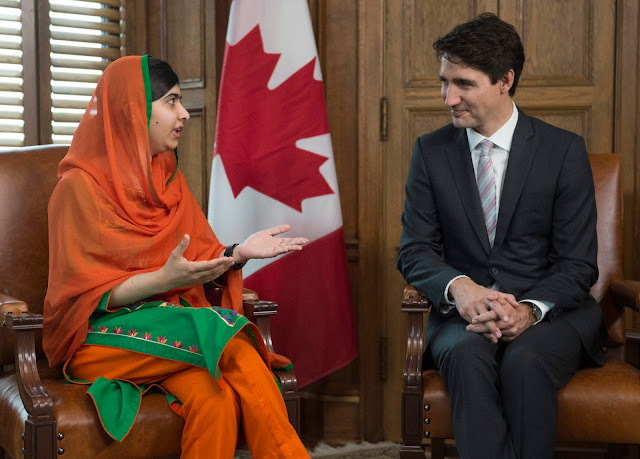 Sadly, Canadians are especially susceptible to the narratives pushed by Malala and her handlers. Canadians are so ignorant and arrogant because of their geography. Canada is safe from most of the travails of the world being isolated from the Old World and bordering the global hegemon. Canadians have been afforded the luxury of not understanding differences in culture, race, religion, etc., because unlike Europe there is no real threat of invasion. Of course it helped that when the country was founded the political leadership had no intentions of flooding disparate peoples (whether for neoliberal or social liberal reasoning), but as Dr. Duchesne has noted, starting in the 1950s, the leadership turned away from basic and natural understanding of nationhood and instead went about deconstructing the identities of English and French Canada and turning Canada into a patchwork of disparate peoples from around the world; with special focus being placed on migration from the Third World. Decades of propaganda in support of such changes has, I fear, taken its toll on the Canadian collective psyche. You White Canadians have no right to deprive Muslims Girls of an Education! We are coming to your countries and we expect to be educated! Malala Yousafzai is yet another weapon used against White Canadians by a liberal elite hell-bent on doing whatever it can to marginalize if not replace the founding stock in favour of others who will be more easily controlled. They use her to seemingly confirm the lie that foreign cultures and religions can mesh with Western ones. She has the potential to be particularly destructive as her claim to fame is supporting the right of girls to an education. Any criticism of her will ultimately lead to an outcry, because our superficial society does not bother to look beyond the seemingly sweet and innocent surface. Its not just Pakistanis who should be wary of her and, indeed, UN backed activists as a whole.